Everything old is new again, so the saying goes. That's why I love watching trends, to see how we collectively yearn and want. I'm fascinated by this collective decision making, however involuntary or subconscious. Anyhow, now that "my" generation is reaching the age where we begin decorating our first homes, it should be no surprise that the modern looks from the 60's and 70's are returning to favour. Afterall, while our parents loved Victorian everything throughout the 80's, we grew tired of this colour palette and design style and now we are ready to go a little further back. While our parents collected Victorian Antiques, those are losing value now as "modern classics" pick up steam. What sells as an antique is directly related to demand - and no antique will hold the same value forever, often moving up and down in value based on market demand. You can track trends then, by these values. For those of us born in the 60's and 70's, there is something pure and unique about the decor from that era that we love. We're not afraid of colour and we're not afraid of pattern! 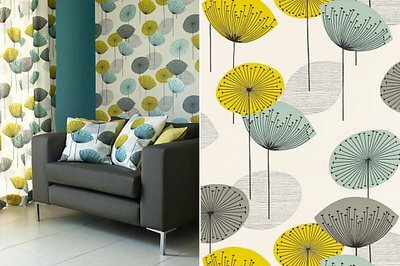 With the popularity of colourful appliances and wall paper on the rise, this decor trend will likely not slow for some time. 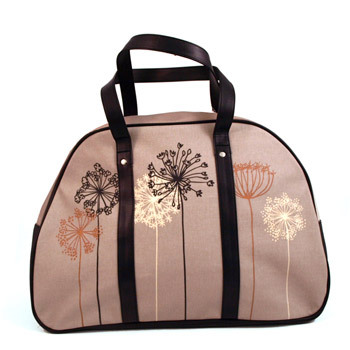 One retro design element that is continually gaining momentum is the Dandelion. Such a humble flower, (some would say weed), it offers unique design elements when shown in (what I call) "Pouf" form - the seeds ready to escape their stem and start the process of growth once more. 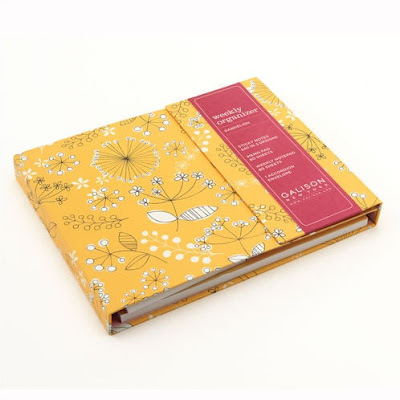 The beauty of working with images of this botanical is the positive, warm and fuzzy memories it recalls - making a wish in the summer sunshine, and watching that wish float away on the warm breeze. 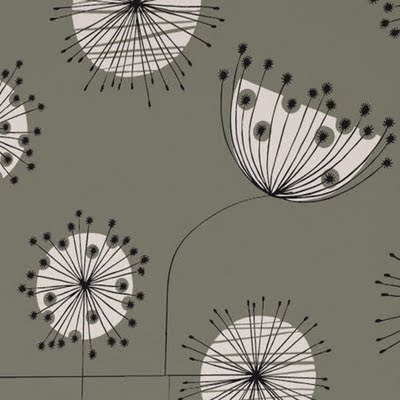 I worked with artist Jessica Rose to create a mug with a Dandilion design, and I added the text "Some See Weeds, Others See Wishes", summing up the feelings many of us have about this little lawn-living fellow. This is just one example, and in blue it is more unusual, because as you will see this trend is generally manifesting in yellow colour palettes. The artwork was just so pretty though! So blue it stayed. But as we know, yellow is hot right now. Paired with other 70's shades like chocolate brown, avacado and wheat, it seems current and updated. I've also seen the image used with current blacks, greys and taupes. Will the trend continue? Likely, as more and more municipalities outlaw the use of pesticides, expect to see many more dandilions in your neighbourhood. 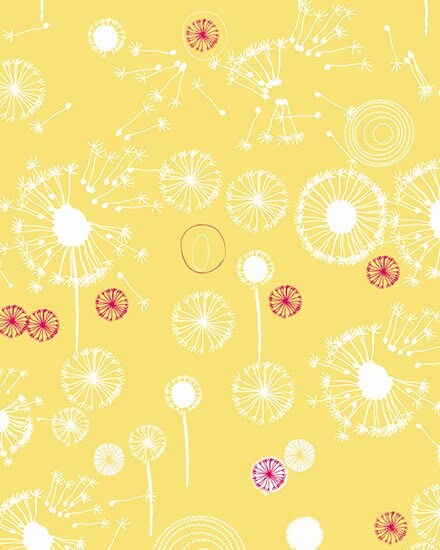 With the youth attitude towards the environment the way it is, it is unlikely that dandelions will be seen as pests and instead may have a sort of renaissance. If that is possible for a weed. I think we could all use a little more buttery yellow in our lives. Don't you? Check out some examples of this trend in action below.